Question: "Is Creatine a drug? I have been suggested that repeated creatine usage can lead to disorders such as adrenal fatigue, ultimately resulting in Kidney Failure.Can normal folks like me who do not intend to be huge bodybuilders but to be fit and healthy individuals also benefit from it?" The good news is that creatine in its most popular supplemental form, Creatine Monohydrate, IS for you. Creatine is definitely not what someone means when they refer to it as a drug. It is in fact a healthful, bio-available molecule that is also present in most of the foods you eat such as meat, eggs and fish. Most abundantly, it is present as creatine phosphate. 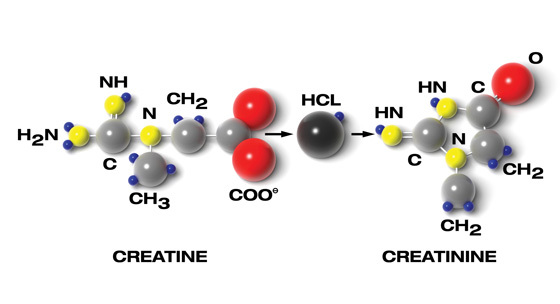 The most widespread use of creatine in the form of supplementation, as creatine monohydrate is to improve the energy levels during a high intensity workout session by storing high-energy phosphate groups in the form of phosphocreatine. During periods of stress, phosphocreatine releases energy to aid cellular function. This is what causes strength increases after creatine supplementation. However, a lesser known function of creatine is how it can also help the brain, bones, muscles and liver. Most of the benefits of creatine are provided through this mechanism. Evidences also suggest a boost in immunity and better brain function following creatine usage. One of the most inclusive pieces I have read on creatine dosage is THIS ONE. And I can understand the concerns where several people believe creatine causes problems related to the kidneys. To my knowledge, I am yet to see someone with healthy kidneys getting them affected due to creatine usage. Of course, every ingestable compound has its recommended dosage and even good things when over-consumed, may turn into bad things. The much recommended 5 grams of dosage daily, still works like a charm. Most of the confusion seems to stem from the substance creatinine which is a metabolite or waste product of creatine, which also happens to be a diagnostic substance used to monitor Kidney problems. However, this in no way renders creatine unsafe for its users. As for which creatine supplement variant to be used, I have always found the plain old micronized creatine monohydrate to be the most sustained working product for me. All the other creatine variants have been coming and going, but this one gives me most bang for my spent buck. I have really seen creatine variants which fill up the entire room with mesmerizing fragrances when its tub is opened, Although there is nothing bad with such a decoration scheme but personally, I may not be the guy who spends more only for this dramatic effect. Question:"I'm a choreographer and my profession requires me to never get bulky or heavy. But lately, I have started experiencing knee pain and discomfort. My physiotherapist has suggested to indulge in a progressive resistance training program. I have joined a gym and started lifting weights after a long time. However, I am worried if consistently lifting heavier weights can end up making me bulkier and heavier. Is there a way I can tailor my lifting to not make me bulkier?" Lifting is a means to an end result. The end result here is to improve your overall strength. Strength, not much unlike dance, is a skill and needs brief and frequent practice sessions(which is what we do every day in the gym). Now, drilling further, our mind learns a new skill when the nervous system consisting of all the involved neurons gets trained. If the skill is a movement pattern, the neurons have to fire in a certain way in order to consider the skill to be learned. Strength thus is more a property of your nervous system, than the other peripheral mechanisms such as musculoskeletal and endocrine systems(although they are all equally in synchrony when you perform a feat of strength). 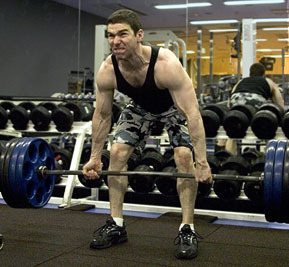 Taking an example of a heavy deadlift, we all have images of hefty powerlifters lifting upwards of 700 pounds in competition and go ahead assuming that is the way they will end up looking after deadlifting heavy. Now, some trainees may purposefully add bulk to their frames by ingesting more calories, since they added bulk and metabolic support may help in getting their deadlift numbers up. However, powerlifting also abounds in examples of lifters where seemingly athletic lifters have lifted enormous weights compared to their body weight. Here's Bob Peoples as an example. Bob Peoples deadlifted 725lbs at 181lbs bodyweight and at the age of forty way back in the 1949. Or for further reference, let's look at Lamar gant pulling 634 pounds at a bodyweight of 123 pounds. These examples are evidences that we can get incredibly strong by practicing the big lifts and can keep adding to the weight without worrying too much about getting bulkier. Of course, we may not train with as much volume as used by those with a bodybuilding mindset. Also, the crucial aspect of managing your calories to stay within the maintenance zone can also not be undermined. Question: "I'm having a pretty tough time growing my trapezius muscles. I have been using different varieties of shrugs in my training, yet to no significant effect. Can you suggest me a game changer for making traps the size of a Stealth bomber?" Shrugs do work the scapular elevation function of the upper traps, the meaty upper portion which is the hallmark of champion wrestlers and strongmen. 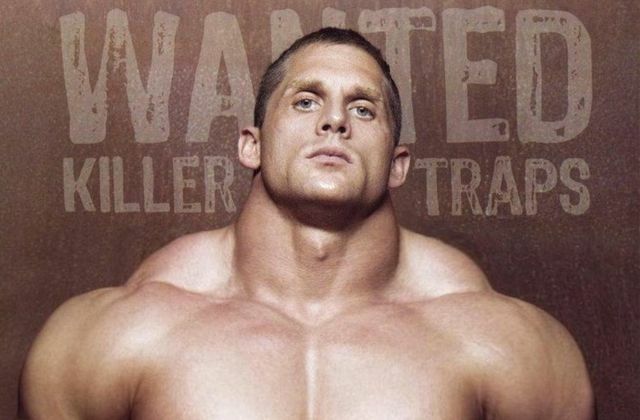 However, there is a potential barrier with the shrugs approach to training your traps. Although the total range of movement in a shrug is comparatively lesser than other movements, the relatively lesser number of muscles involves in a shrug renders a rather weaker anabolic potential to the exercise. Compare it to a deadlift where seemingly all muscles of the body are in dynamic action as against being statically involves in a shrug. The compound effect of the simultaneous play of these many muscles gives the deadlift an edge as an exercise that develops almost everything, Everything including thick and dense upper traps. It is with this premise in the background that I could never see the degree of trap growth given by the deadlifts by howsoever heavy shrugs I did. 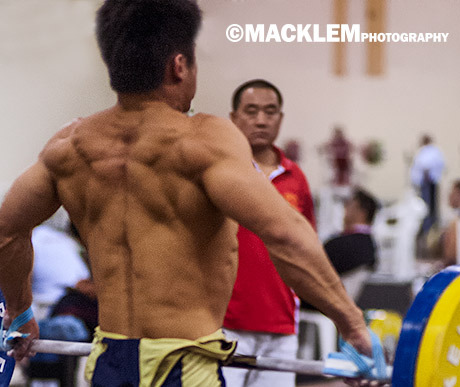 In fact, an interesting case in point here would be the barbell power cleans. A power clean, if the usual exercise poundage correlations are to be considered, shall almost never be close to how much you can shrug. For an individual who can shrug just upwards of 400 pounds, the power clean would be lucky to reach the 250 mark. And yet, the clean, from the explosive nature of the pull, develops the trapezius with a much lesser weight than that can be shrugged. The explosiveness and the anabolic potential of the harmonic synchronization of a larger number of muscle groups being involved makes this possible. My take would thus be to include a healthy mixture of deadlifts and barbell power cleans into your trapezius training arsenal and observe how these time-tested lifts add visual mass to your traps. Geez... if creatine is a drug, then whey protein and chicken breast are drugs, too, lol. I swear this obsession with what's "natty" and "not natty" gets out of hand sometimes.